I'm doing my "Bad Language" post in a different way, this time. Starting with the (easy) image above and working your way down, see if you can spot what annoyed me about the use of language in each image. Click to see bigger versions. One of them is VERY tricky, so I doubt if anyone will guess all seven. Answers below. 1. Some American junk-food thingy in Scotland: (I think it calls itself KFC, which stands for "Kentucky Fried Cruelty" according to this acronym site). Easy one here. In the UK we say "through", not "thru". 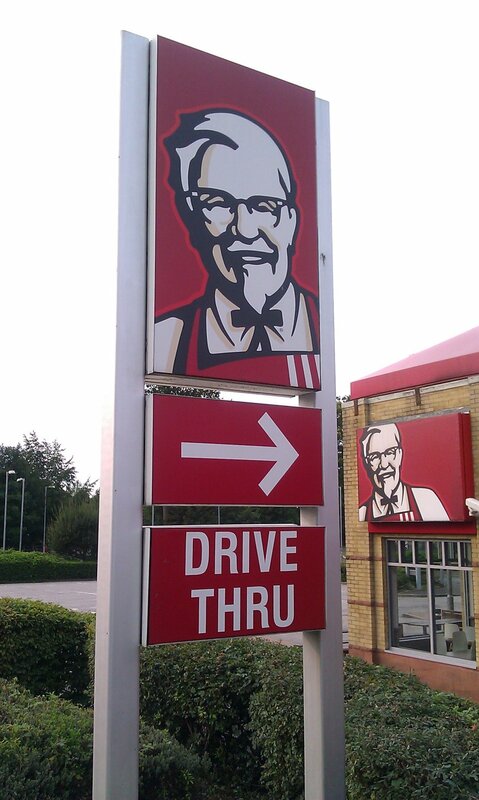 I'm sure that in the US "thru" may be their norm, just as KFC's corporate norm would be US dollars, and full US language: but this is a junk-food place in Scotland. If a Chinese company set up an outlet in the US they'd be expected to follow US law, US customs and norms of behaviour, and use US English. 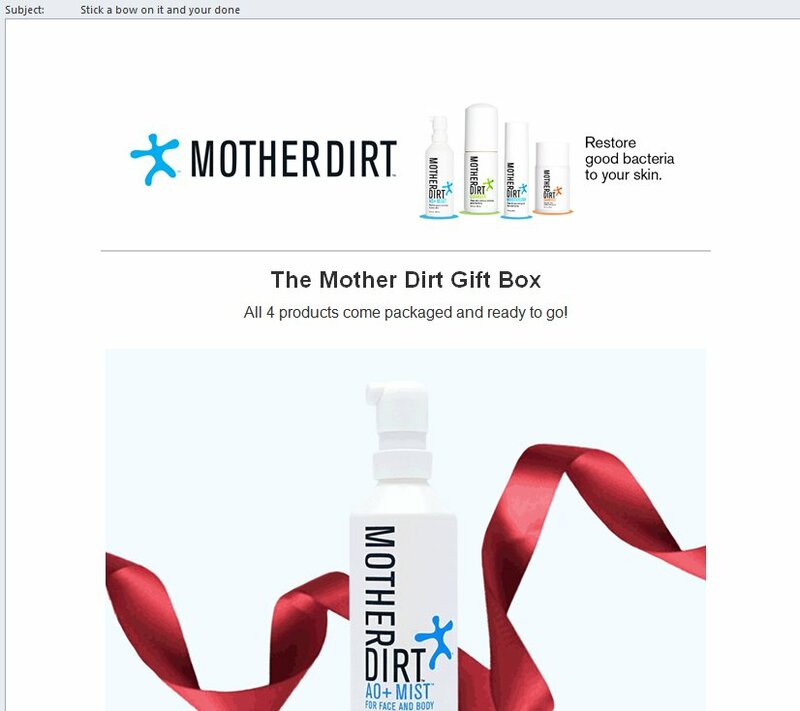 I think US companies should show the same respect in return. And they know this - I'm sure KFC wouldn't mention fannies in a UK advert. What's even stranger is that they're not being consistent with their language, since they use partial UK English and partial US language, which is laziness or ignorance on the corporation's part. Though it is kind of irrelevant, since I'm not keen on junk-food places, heavily focussed on animal products, and take-aways which add to the amount of litter and throwaway packaging. 2. 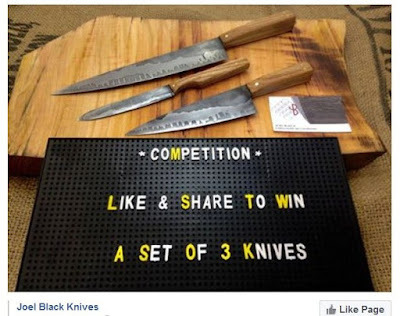 Joel Black Knives: presumably they don't award a prize to everyone entering. What they should have said is "Enter for a chance to win." 3. 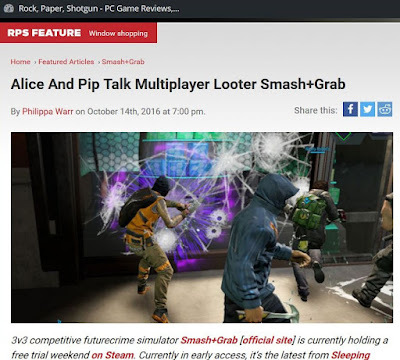 Rock Paper Shotgun: prepositions are needed with certain words. We talk about topic X, not talk topic X. This error occurs when people get mixed up between the verbs talk and discuss (for the latter no preposition is needed: "We talk about spelling" but " We discuss spelling"). 4. Mother Dirt: it's the email subject line. You're done, not your done. 5. Ebay: once again, the required preposition is missing. We shop for car parts, or dictionaries, or brain transplants. We do not shop car parts. 6. The Mirror: Her mother ... rapped? She recited the words rapidly and rhythmically over an instrumental backing? 7. Pumpernickel: apostrophe abuse. Children's menu. Speciality coffees. How many did you guess? Recently I was reading a book by an author I liked but groaned at some of the errors. It talked about thick black arterial blood - no, that's venous blood, since arterial blood is bright red and fast-spurting. Then it talked about someone's pupil changing colour, when they meant the iris. Even when the author makes mistakes the editor should pick them up - that's our job! Also Kettle Chips irked me. It's fine when they're sold in the US, but in UK that food is called crisps, not chips. Chips are a totally different (and 10x better) food. To me it is like calling an Eccles Cake a doughnut. (Plus Kettle Chips use environmentally-harmful complex laminate non-recyclable packaging, so I wouldn't buy their stuff anyway). Here's a few more quickies. I read this on a forum: "everything is still in tack for you to scavenge". "Intact," not "in tack". I also read “Right of passage.” Nope. It is a “rite of passage”. For any people with knickers in a twist about the word "gotten" ... it is a traditional old English form, predating the United States and Canada by several centuries, and often used in the UK's north. Where I come from we'd use it as a past tense of got. "She'd gotten ill before losing her job" etc., so it was just part of the way we spoke. And if it wasn't for those pesky kids, we'd have gotten away with it. Now I'm off to spend my ill-gotten gains. I got three. I mis-guessed the knives by thinking the 3 should have been three, as it's under 10. 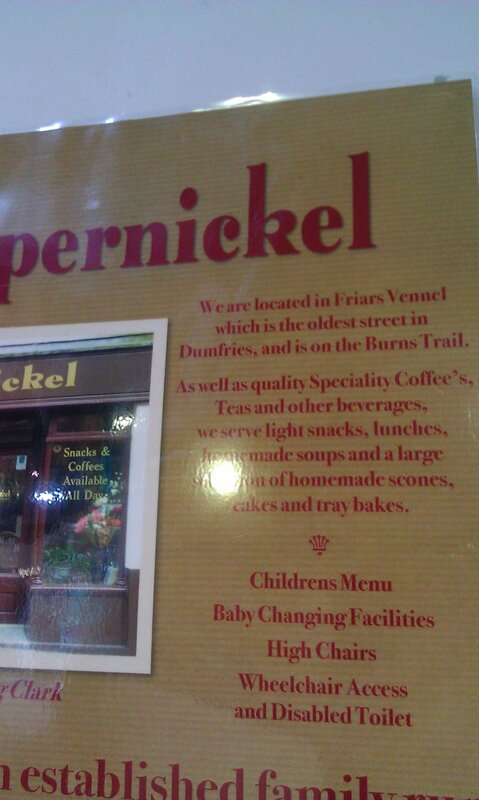 In the last one, you missed the superfluous apostrophe in Coffee's!